CarGurus has 1,480 nationwide Sebring listings starting at $1,000. 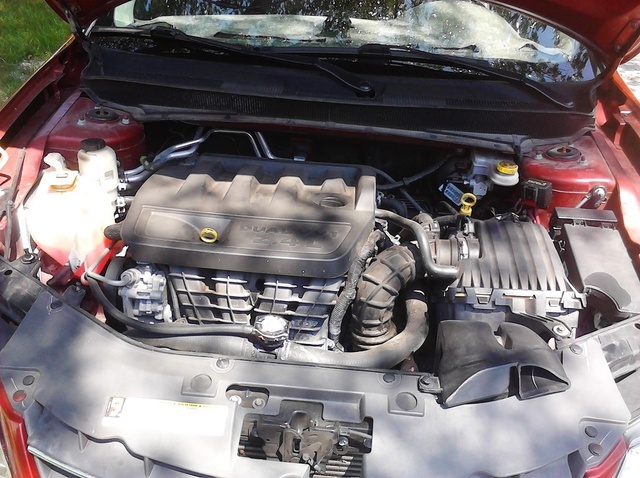 The 2010 Chrysler Sebring delivers outstanding safety features, a clean and comfortable interior, smart exterior lines, and the choice between a well-priced midsize family sedan and a more luxurious two-door convertible. Interior materials trend toward the uninspired, off-the-line power is lacking, and trim options for the economical 2010 Sebring sedan are limited to two. The Sebring may not dazzle critics, but owners love it. 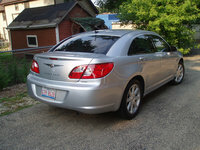 Reasonable prices, a relaxed cabin, excellent entertainment options, unique styling, and a range of power and handling options make the 2010 Chrysler Sebring a viable choice as both a family sedan and a high-spirited convertible. The 2010 Chrysler Sebring makes only a few tweaks on the 2009 Sebring. Most notably, the 2010 sedan version comes in two trims – Touring and Limited – as opposed to the three trims available in ‘09. The convertible is available in three trims – LX, Touring, and Limited. And the signature grooves running the crease of the hood have been removed. The result is a more fluid exterior design that provides a sleeker, more aerodynamic look. Critics aren’t crazy about the Sebring, but owners go the opposite way, and they are nearly all baffled by the poor professional reviews. Some reviewers feel the standard I4 engine for the Touring sedan and LX Convertible doesn’t provide enough power, but those who drive the car on a regular basis have found ample pep when needed and really enjoy the 21 city/30 highway mpg. The 3.5-liter V6 that is available for the Limited sedan and comes standard with the Limited convertible is universally praised, as is the standard stain-resistant fabric and all of the available technology - GPS with touch screen, rear-seat DVD, 30GB music hard drive, Boston Acoustics speakers, heated seats, etc. Perhaps the Sebring is sometimes reviewed in a negative light because it’s battling in the highly competitive midsize, four-door class with long-time favorites like the Honda Accord and Toyota Camry and new darlings like the Ford Fusion. But that competition has led to some very good deals on the Sebring and can be used to the buyer’s advantage. And the Sebring Convertibles offer top-down fun, some nice performance features, and technology with a look that many find extremely appealing. The front-wheel-drive Sebring sedans and LX Convertible are powered by a 2.4-liter, four-cylinder DOHC 16-valve dual Variable Valve Timing engine that produces 173 horsepower and 166 lb-ft of torque. This represents similar power to what you will find in most four-cylinder family four-doors, but many critics feels the Sebring's a touch slow off the line. However, most families aren’t all that interested in blazing away from red lights. More critical is the passing and merging power, and owners feel there is plenty of both. The four-cylinder is mated to a four-speed automatic transmission and gets 21 city/30 highway in the sedans and 20/29 in the convertible. If you want a little extra power and can swing the extra money, the 3.5-liter, high output V6 24-valve MPI engine and its 235 horses are a very attractive option for the sedan and a very entertaining tool for the Limited Convertible. This V6 is paired with a more sophisticated six-speed automatic transmission with autostick shift capability to further enhance the driving experience. The V6 gets 16 city/27 highway mpg. Landing right in the middle is the 2.7-liter V6 that comes standard with the Touring Convertible. This engine doesn’t dawdle like the I4 and saves a little money at the pump compared to the 3.5-liter V6, as the 2.7-liter V6 gets 18 city/26 highway mpg. The Sebring’s easy yet responsive steering, consistent braking, moderate and smooth suspension tuning, manageable and sufficient power, and fuel efficiency make this a very comfortable and practical car for around-town driving, both in traffic and on empty streets. The standard I4 engine and mid-level suspension settings don’t make for a breathtaking ride on windy back roads, but that’s not what family sedans are meant to do. But again, if you crave those kind of exhilarating drives, the 3.5-liter V6 will certainly do the trick, and the 2.7-liter V6 may as well. The LX Convertible rides very much like the sedan trims, but the Touring and Limited Convertibles come with a touring suspension that adds to the driving excitement but does exaggerate road flaws in around-town driving. The Sebring’s cabin is simple and ergonomic, and the front seats are comfortable for a wide range of body types (especially the Limited trim, with its eight-way adjustable driver’s seat to go along with the tilt/telescoping steering wheel that comes standard with sedan trims), making for safe and comfortable trips. The sedan’s back seat has excellent head- and legroom, though it can be tight in the hips and elbows, so perhaps it's best to put taller and leaner adults in the back for any extended time on the road. The back seat for the convertible is, naturally, not truly meant to handle multiple adult passengers on long rides. The cabin is relatively quiet in most conditions, though it can get a little loud when merging into top-speed highway traffic. Noise level increases with the convertibles, as expected. The two-tone Sebring interior has a modern feel that matches the streamlined exterior and offers a very clean layout for the driver. The downside is that the material quality (excluding the seating upholstery) is not up to the standards of others in the class, though once again this is not a negative noted by many owners. A huge plus for the Sebring is the “Yes Essentials” seating fabric, which is stain/odor/static resistant and stylish all at the same time. The other major comfort highlight is the entertainment system. The base Touring sedan trim comes with a quality four-speaker stereo with CD, MP3 capability, and one-year of Sirius Satellite radio. The Limited comes with an upgraded six-speaker media center with 6-CD changer, rear-seat DVD, and MP3 capability. The available media additions also drew strong praise – a 30GB hard drive with 4,250-song capacity, 6.5-inch touch screen display for the integrated GPS navigation system, and six Boston Acoustics speakers. The Touring trim does not offer power adjustable seats, but the bucket front seats drew almost no complaints for comfort. The Limited trim provides an eight-way power driver’s seat and heated front seats, a very welcome comfort in cold climates. The 13.6 cubic feet of trunk space for the sedans is on the small end for the midsize class, but the Sebring makes up for it somewhat with the extra space and configuration options provided by the 60/40-split rear seat and the fold-flat front passenger seat. The convertible trims mix and match features and upgrades from the two sedan trims, and the base LX Convertible is better equipped than the base sedan and comparable to the Limited sedan trim. The LX Convertible features air conditioning, six-way power driver and passenger seats, the six-speaker stereo system, keyless entry, and speed control. Most of the Touring Convertible upgrades center on the powertrain, but it does get a key fob to control the power top and windows, a mini-trip computer, and temperature and compass gauges. The Limited Convertible has the full range of Sebring conveniences with heated front seats, six Boston Acoustics speakers, steering-wheel-mounted audio controls, a security alarm, and a universal garage door opener. Safety features for the sedan and convertible Sebrings include four-wheel antilock disc brakes, active front head restraints to reduce whiplash, advanced multistage frontal airbags, supplemental seat-mounted side airbags, side-curtain airbags, and available electronic stability control. The Sebring also features a safety cage that absorbs and redirects crash impact energy away from the passengers. The only catch with the safety cage is that the extra-thick A pillars can impede some sightlines when entering intersections or leaving certain driveways or parking lots. Sight lines in the convertible have their flaws as well, but nothing that is unexpected with a convertible. When people buy what they later feel is a lousy car, they are normally very quick to send complaints to anyone who is willing to listen. But there simply aren’t many negative Sebring owner reviews out there, as opposed to professional reviews, which nitpick the Sebring. Several owners made the “I won’t win any drag races” remark, but all of them followed that up by saying the drag race days are behind them (or never were) or noting that accelerating from 50 to 70 mph is easy. And owners were more than happy to trade extra power for the Sebring’s fuel efficiency. Other positive comments included the fantastic deals available on new Sebrings, its ability to handle heavy weather conditions, quick turnaround for repairs, and the approving looks it gets on the streets, especially with the top down. 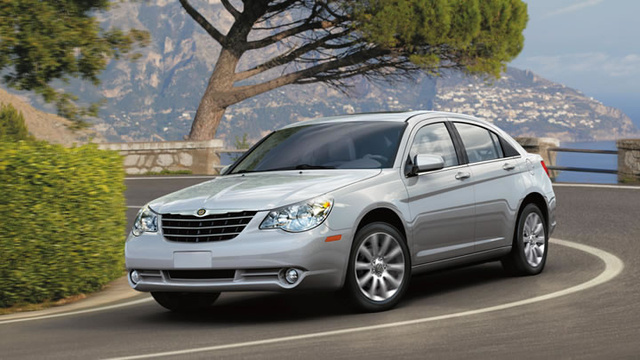 What's your take on the 2010 Chrysler Sebring? Fullait I bought 1 with 34,000 miles on it. Love most everything about it with 2 exceptions. UNCOMFORTABLE SEATING! The front seat is extremely uncomfortable. Terrible on trips of any length. (Fabric Seats). I had to buy a foam/gel cushion to endure it! The height of the seat is weird and just not right for a convertible. It can't be adjusted so one can comfortably rest their arm on the window ledge. If you bring it high enough, you will be looking over the top of the winshield and get bugs all over your face. What were they thinking? The back seat is for storing an umbrella as no real person can sit there and you still be in a position to drive the car. Everything else is great. Gas mileage & pretty peppy (2.70 V6) I probably would NOT buy another one for the discomfort seating reasons as it is BAD! Larry I bought my 2010 Sebring Limited Sedan in 2011 with 13,000 miles on it. The dealer I purchased it through bought it from Hertz so it was a program car and I was pleased at how it had held up with that kind of use. I drive 100 miles round trip on the work commute each day, and I now have about 110,000 miles on the car. The only mechanical problem I have ever had with the car was at about 20,000 miles the air conditioner condenser developed a slow leak (repaired under warranty and no problems since). I put new tires on it at 70,000, I replaced all four brake pads (which I assume were original) at about 80,000. At 99,000 I had the transmission checked out just to get a status, and there were no leaks or significant wear, and all fluid pressures were at factory spec. 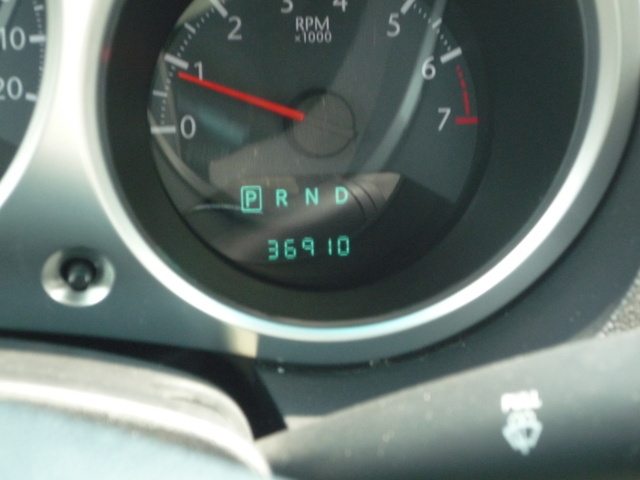 My mechanic told me this transmission model often goes 200,000 miles without any trouble at all. Literally the only thing wrong with my car after all the miles I've driven is that I've filled the fuel tank so often that the spring on the gas cap cover doesn't want to pull the door all the way closed. There is not a speck of rust on the body--every time I wash the car it looks brand spanking new. OK so some of the interior trim is painted plastic instead of molded-in color, and there are plastic woodgrain inlays instead of burled wood -- I've heard all those critics, but I knew I wasn't buying a Rolls. The heated leather seats are awesome in the winter. The 2.7 V6 isn't neck-breaking off the line, but it is perfectly adequate for me, and it has plenty of reserve power for passing, plus I get 30-32 MPG on the highway. Sound dampening is really good--I drove a Ford Fusion before I bought this car, and I like Ford products generally, but the Fusion allowed much more road noise into the cabin than my Sebring. If I'm driving the Sebring down the highway with the radio off, I barely hear any wind noise at all, just the thump of the tires hitting pavement irregularities. When this one wears out in about 4 years at 200,000 miles, I'm seriously considering buying another car exactly like it. Larry Update--my Sebring now has about 185,000 miles on it and still runs great. At about 150,000 miles I had to put a starter on it and replace the battery (the original factory battery!) That was about $725 at the Chrysler dealer, but it is the only out-of-warranty repair I've ever had to make on non-maintenance items (as opposed to things like brakes and light bulbs). I did put brake pads and rotors on at about 160,000 miles. I'm on my second set of Michelin Defender tires which I love because they are quiet AND long lasting (rated at 70,000 miles), which is an unusual combination to find--usually a tire that is hard enough to last that many miles makes a loud whine at highway speeds; all I hear are the bumps in the pavement. I put new Michelins on at 70,000 and 150,000 miles. It's been a great car. AnthemBassMan I bought my 2010 Sebring Touring 2.4 in 2012 with 40kon it. It now has 169k and still runs just fine. The only so called repairs I’ve done to it was replace both front rotors and brake pads at all four corners twice. Besides that, nothing else but basic fluid/filter changes and spark plugs. I run 5-6k between oil changes and the oil level never drops more than an 1/8” below the full line. Oh, I replaced the factory battery two months ago. I’ve had this car from Ohio to Myrtle Beach at least a half dozen times. I’ve always gotten low to mid 30mpg during those trips and that little 2.4 always handles the mountains better than you’d think. I like the body style of the Sebring/ early 200. The interior, while having some lower quality plastics, is still holding up and looks just fine. The body has started to show some rust, but the entire undercarriage is unbelievably clean. Absolutely no regrets buying my Sebring 6 years ago. 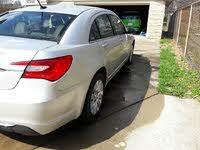 Have you driven a 2010 Chrysler Sebring?